Every year, a number of named storms are predicted. Of these, an average of 1.75 a year will become hurricanes. When these storms come, they can leave extensive damage in their wake — $21.6 billion, on average. While it's impossible to guarantee a home emerges from a hurricane unscathed, it is possible to reduce the potential impact with key improvements or modifications. Part of this involves addressing a home's weak points through careful reinforcement. This guide will focus on modifications to protect a home from hurricane force winds, but keep in mind that there are improvements that can be made to protect a home from water-related damages as well. Here are six areas in particular that should be looked at well before the arrival of a storm. Siding can be ripped from the home in the high winds associated with a hurricane. This is an even bigger risk if the siding is already loose, missing or otherwise less than sound. Gaps in the siding can also allow moisture to seep underneath. When moisture gathers beneath siding, water damage becomes likely. Regular inspections can reveal issues with siding before the become real problems. 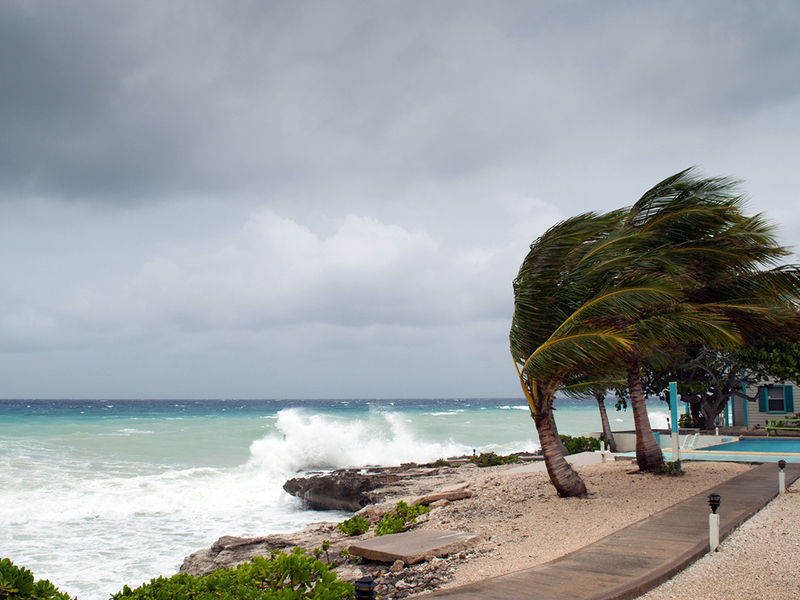 By having repairs done before hurricane season comes, homeowners can avoid costly damage. Furthermore, the way in which siding is installed can make a big difference in how well it holds up in high winds. FEMA has a detailed guide on siding installation for high wind regions. Because they open up to the outside as part of their function, doors and windows are among the most vulnerable parts of the home. Inspect both regularly for cracks, loose parts and other issues. When replacing doors or windows, look for impact resistant versions. Leading up to the storm, properly reinforcing these areas can greatly reduce the likelihood of debris penetrating the home. During a hurricane, it is important to make sure that all doors (even interior doors) are closed to help minimize damage if part of the home is breached by the storm. Roofing should be visually inspected periodically every year. Look for loose shingles, damaged soffits, missing flashing and other flaws. Water and wind can get under weak areas and make them worse. An ongoing leak, left unrepaired, can cause serious damage and even threaten the structural integrity of the home. A roof near the end of its lifespan should be replaced, but, since the process can take some time, it should be done well before hurricane season to avoid a storm arriving while the home is vulnerable. Some roofs can be fitted with braces or "hurricane straps" to connect the roof to sidewalls. Visually inspect the garage door regularly. The only places that light should be showing through should be windows if they are present in the door. If it is time for a new garage door, impact resistant doors are a good option. They can stand up to higher wind speeds and impact from flying debris. This, in turn, protects everything inside your garage from hurricane damage. Like with doors and windows, there are aftermarket systems that can be added onto a garage door before a storm in order to better reinforce it from the elements — usually in the form of braces or panels. Hurricane damage prevention extends to the landscaping and outbuildings around the home, as well. Dead trees and broken branches can fall over in heavy winds. Shallow root systems can also lead to problems when ground becomes saturated. Outbuildings should be inspected regularly to ensure that they are sound. If an outbuilding is showing wear, consider removing it before a storm allows it to become a danger to person and property. Some outbuildings can be strapped or secured to the ground to prevent the wind from taking them. With high winds, any loose items can quickly become projectiles. It may be prudent to take small to medium sized decor indoors or into the garage to minimize damage to/loss of property. In hurricane-prone areas, it is important for home and building owners to stay on top of maintenance tasks throughout the year. Should evacuation become necessary, an individual or household's number one priority should be their own safety. Doing what needs to be done ahead of time will increase the likelihood that one's belongings will stay protected in a hurricane as well as reduce the amount of time it takes to get prepared.